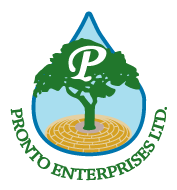 Landscaping Jobs Kamloops | Careers | Pronto Enterprises Ltd.
Based in Kamloops, Pronto Enterprises is a family company that provides home and business owners with professional landscaping services. We are always seeking new talent to join our team, so send us your resume today if you'd like to work with our landscape experts. You can also give us a call to request more information on any of our landscaping services.